The Union Jack (1880-1883, 1894-1933) was a weekly magazine for boys. Its founding editor, the novelist W.H.G. Kingston, died only a few months after the first issue appeared. The adventure novelist G.A. Henty succeeded him. Initially, the journal struggled against its more popular competitor, the Boy’s Own Paper, and it folded in 1883. It was revived in 1894 by Alfred Harmsworth (later Viscount Northcliffe). The detective Sexton Blake – modelled on Sherlock Holmes – is credited with the Union Jack’s recovery, to the extent that, in 1933, the journal changed its name to Detective Weekly. 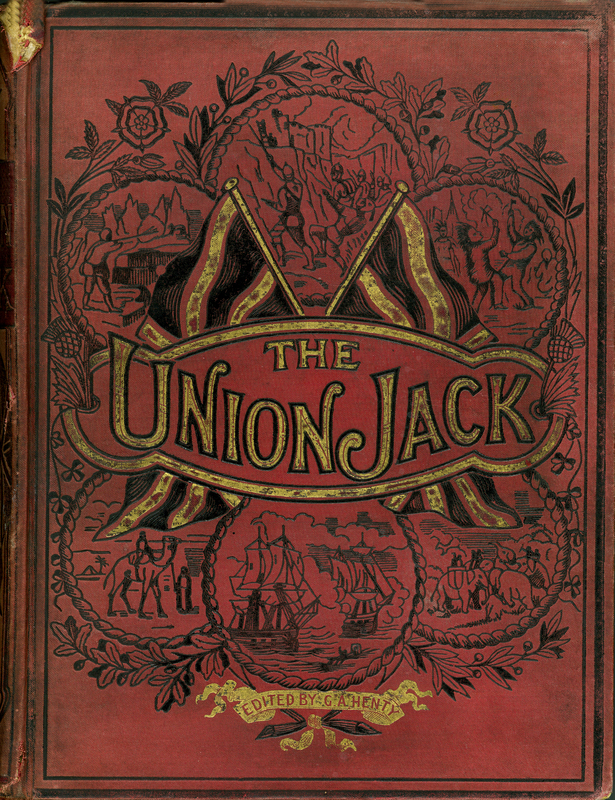 [Edited by W. H. G. Kingston], “The Union Jack: A Magazine of Healthy, Stirring Tales of Adventure by Land and Sea for Boys. Vol. 1,” ourheritage.ac.nz | OUR Heritage, accessed April 22, 2019, http://otago.ourheritage.ac.nz/items/show/10798.